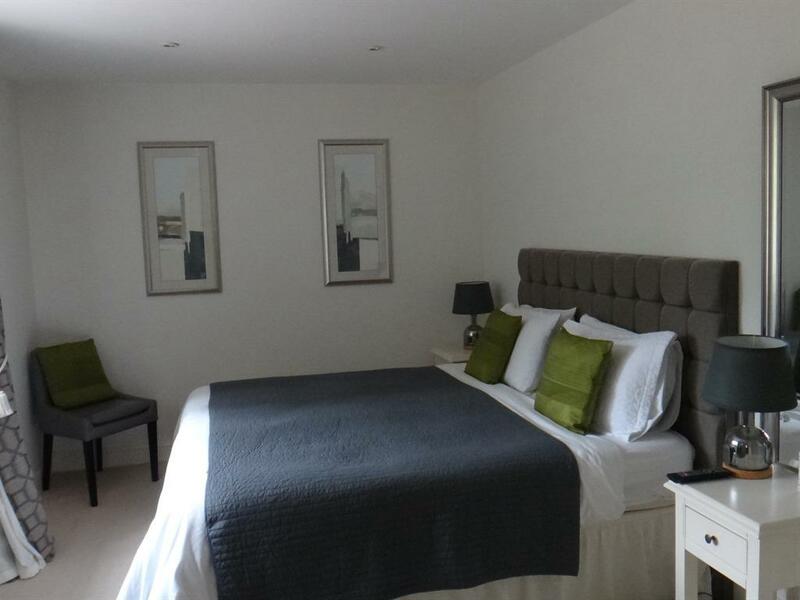 Our two double en-suite rooms, Rooms 1 and 2, are large comfortable, contemporary spacious rooms that we can also offer as twin rooms and they each benefit from their own Ensuite bathroom facility with a walk in power shower. 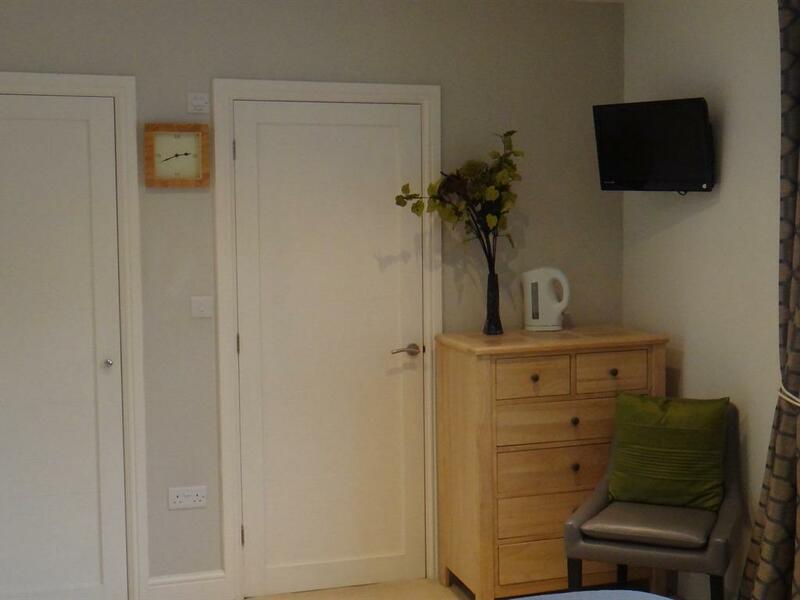 They enjoy luxurious comfortable Super Kingsize Beds and have their own flat screen TV's with Freeview and Radio capability as well as wardrobe space and seating. 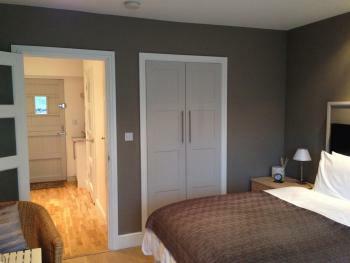 Tea and Coffee making facilities are available in the rooms. 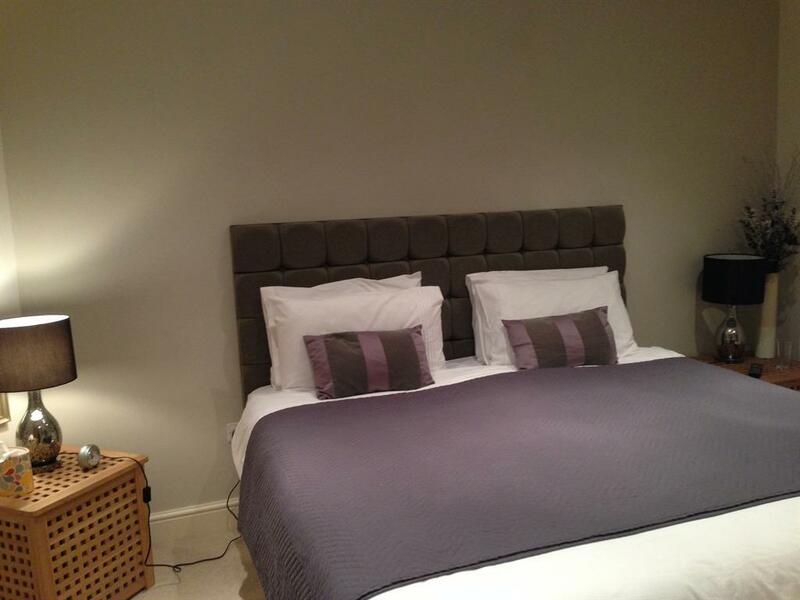 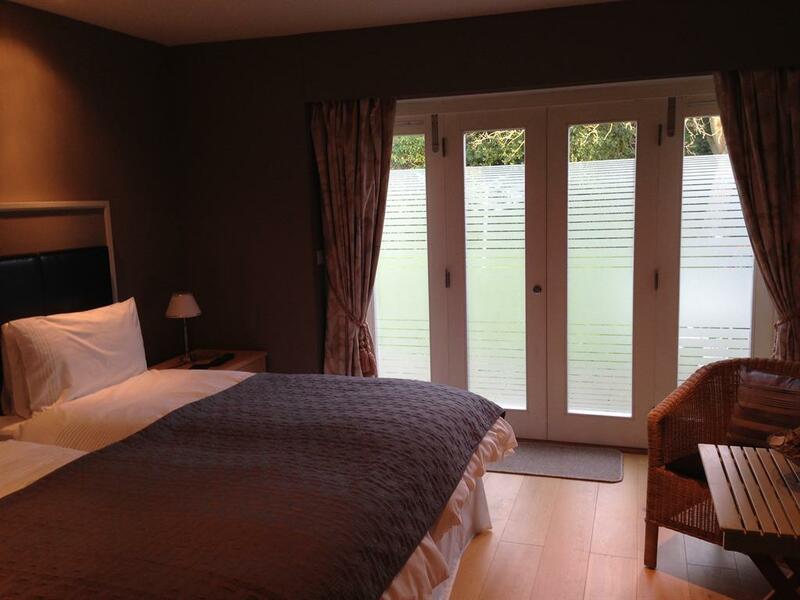 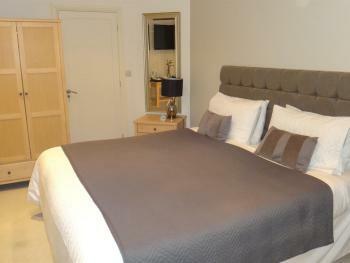 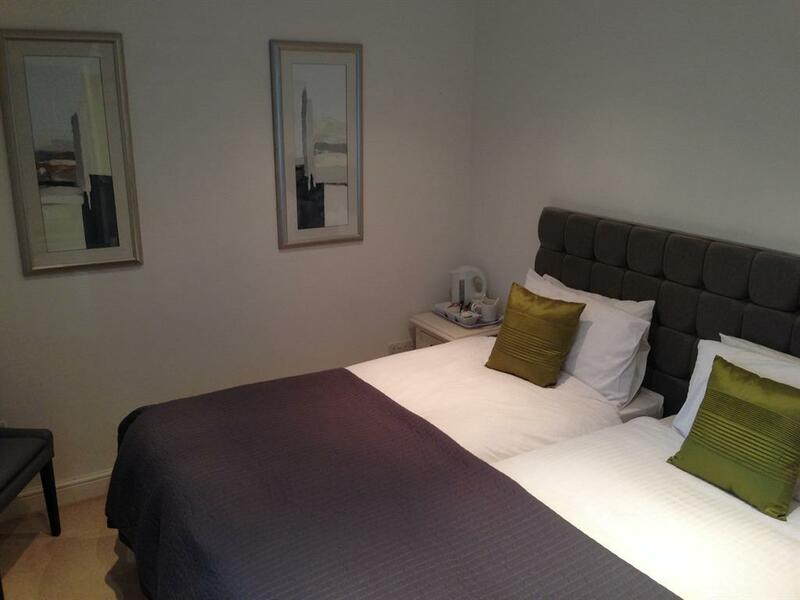 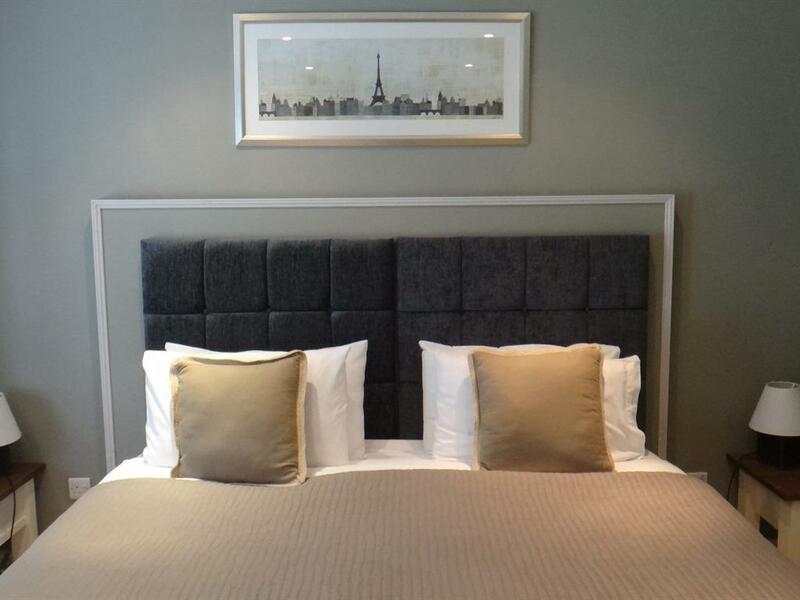 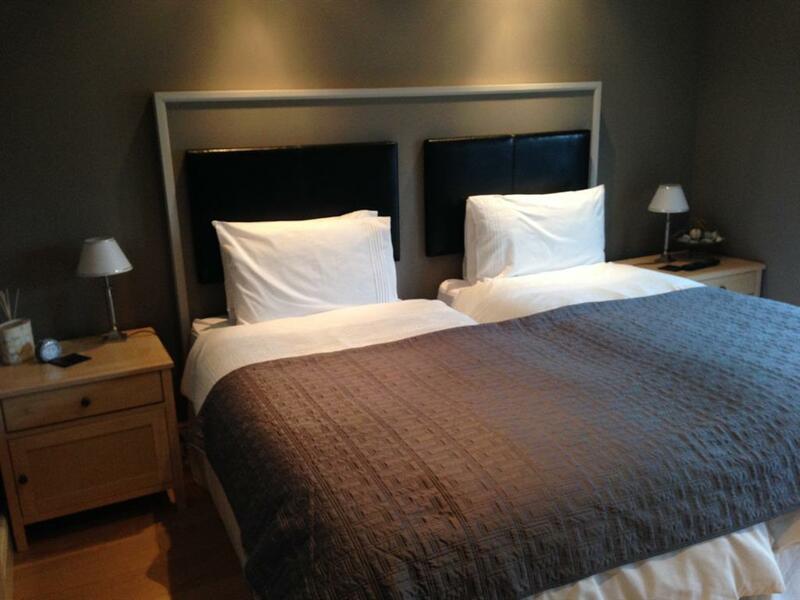 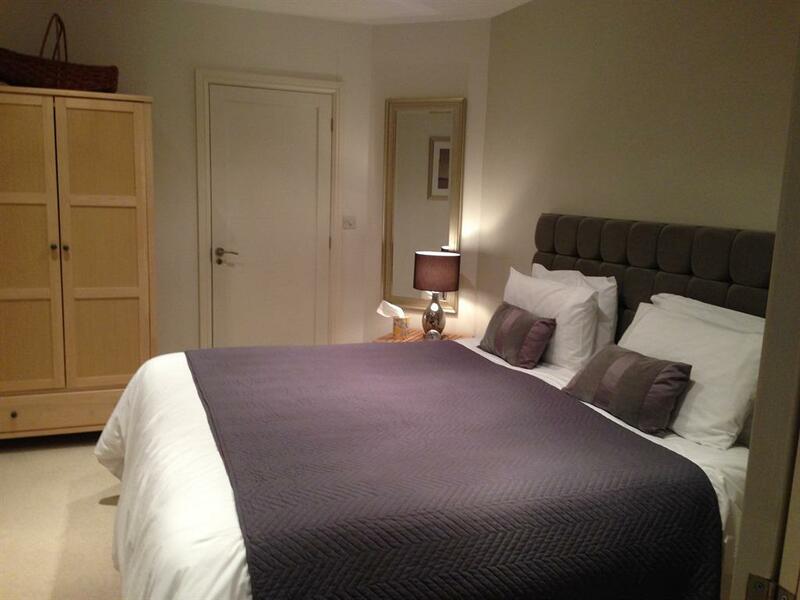 Room 3 is a large, comfortable, contemporary spacious double room that we can also offer as a twin room. 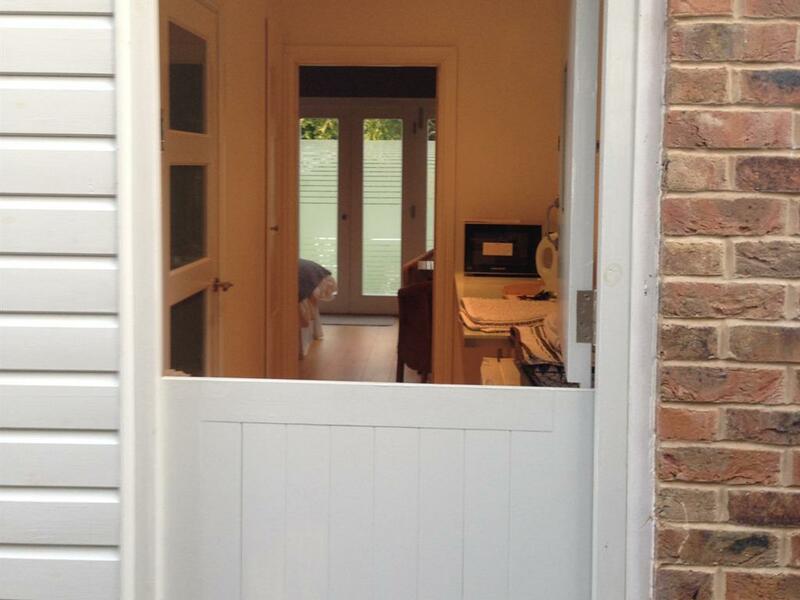 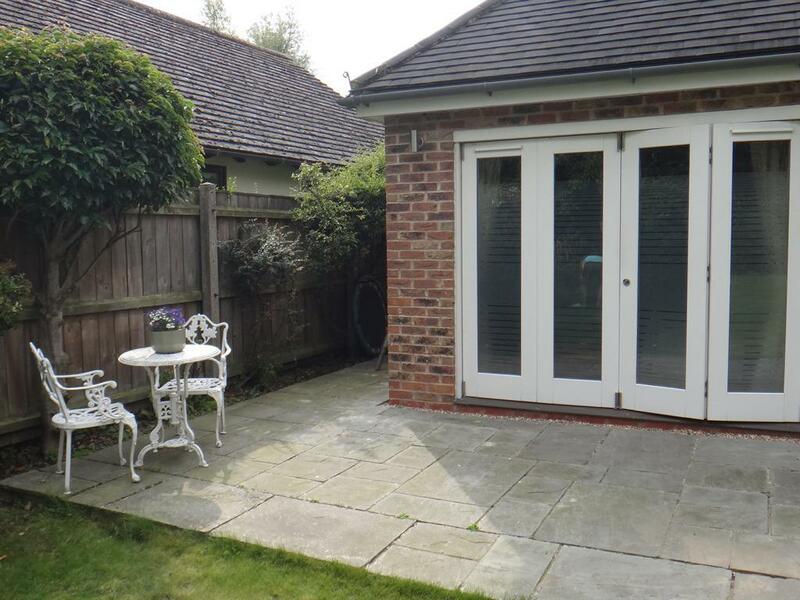 It has large bifold doors that open out directly onto your own patio area with table and chairs, overlooking the Garden. 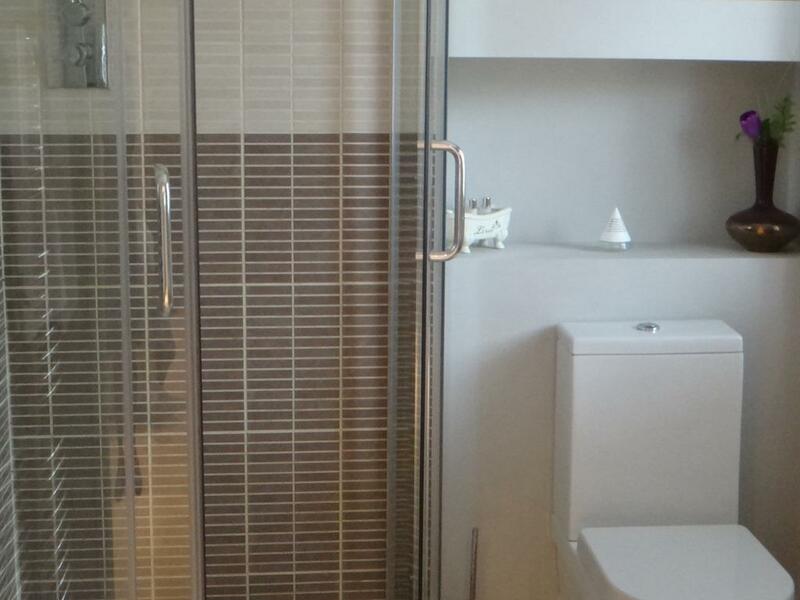 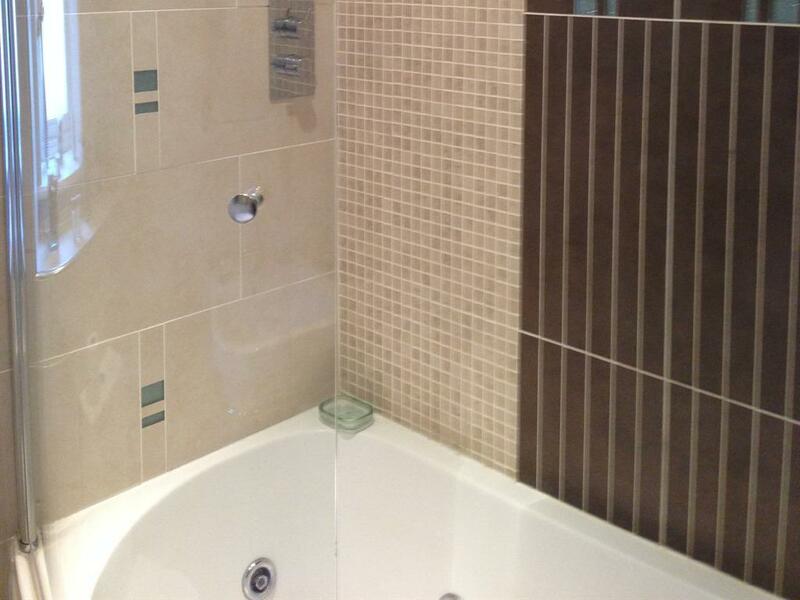 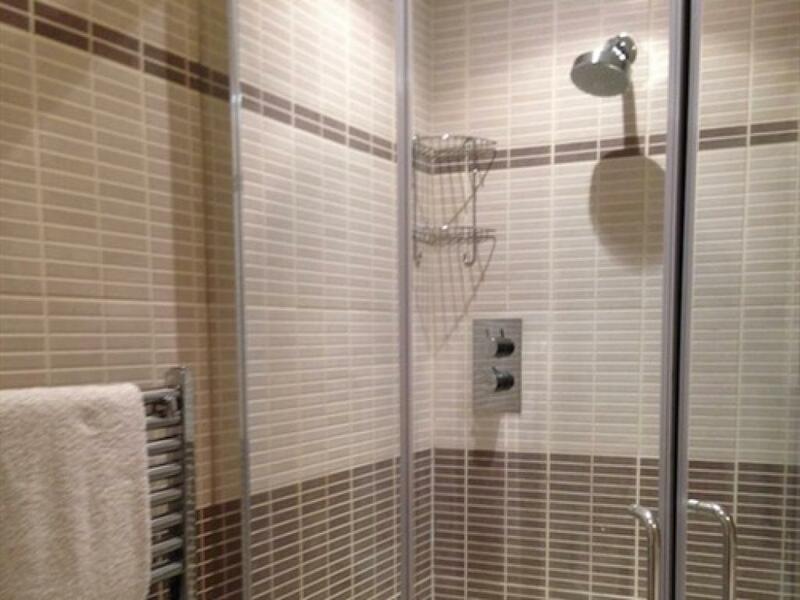 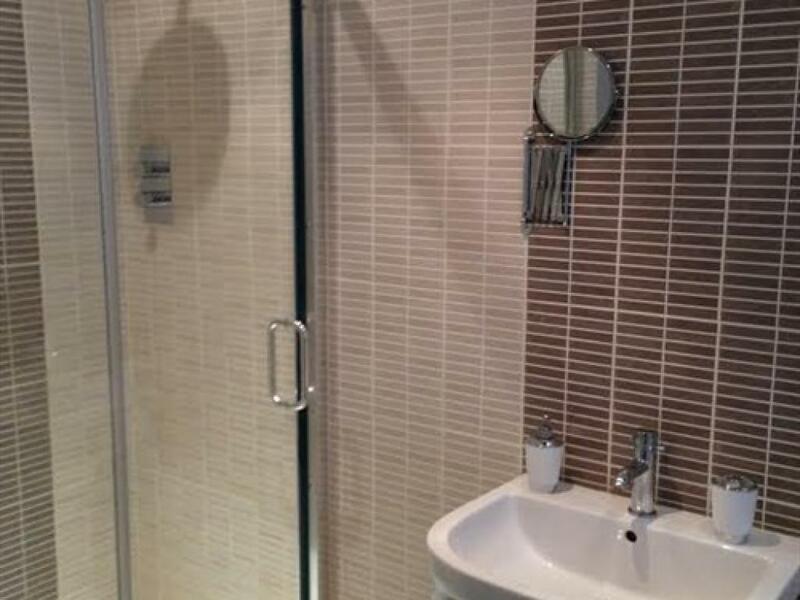 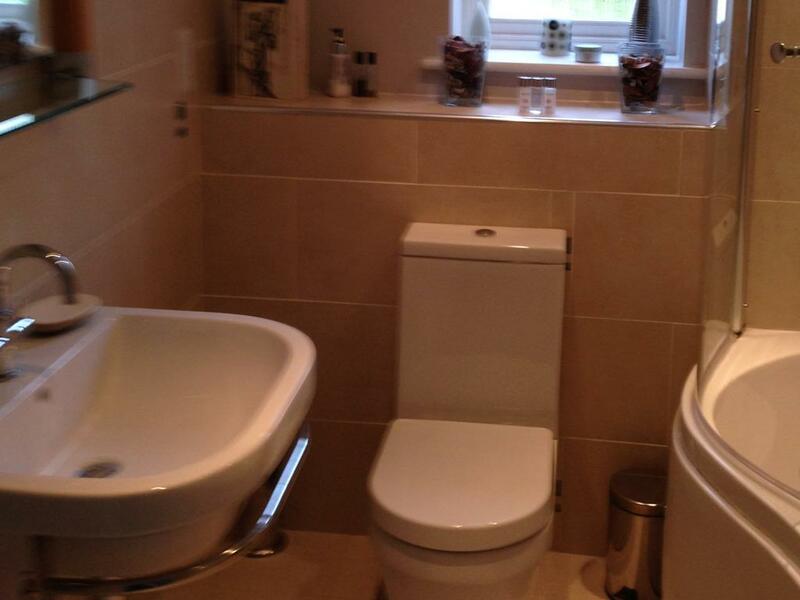 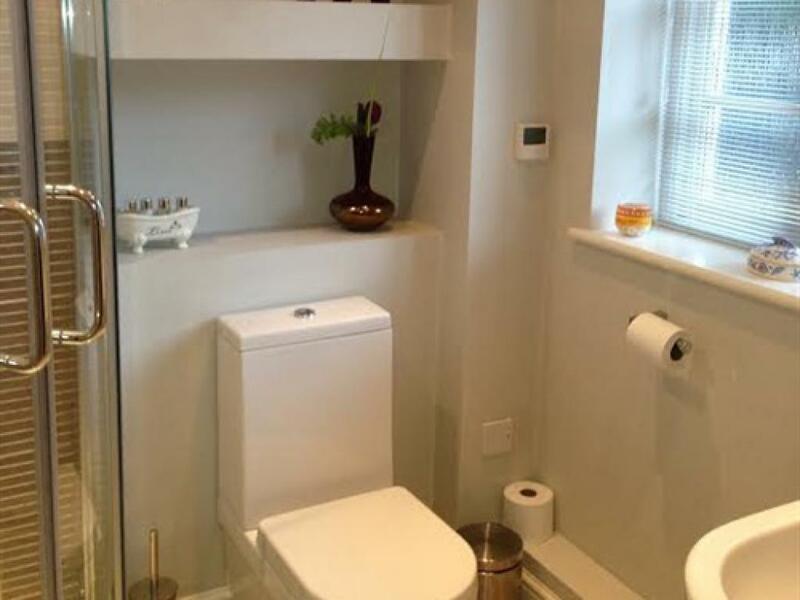 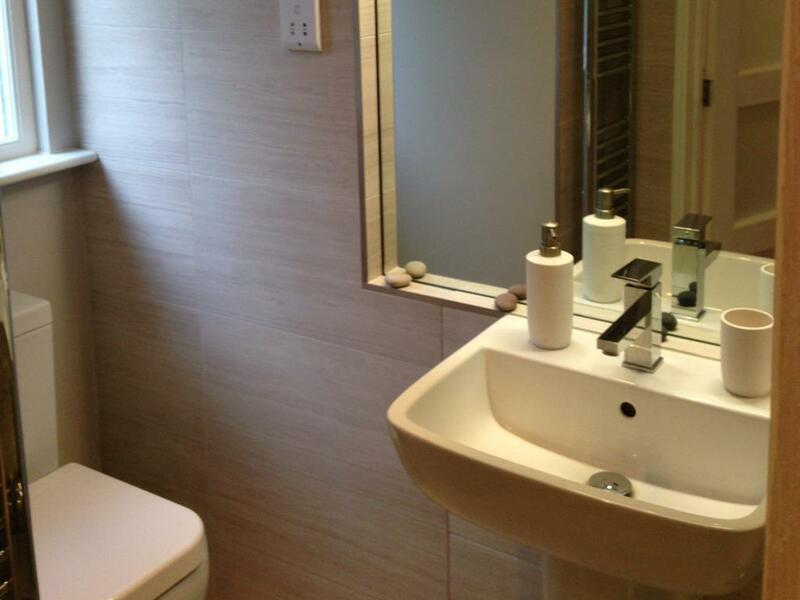 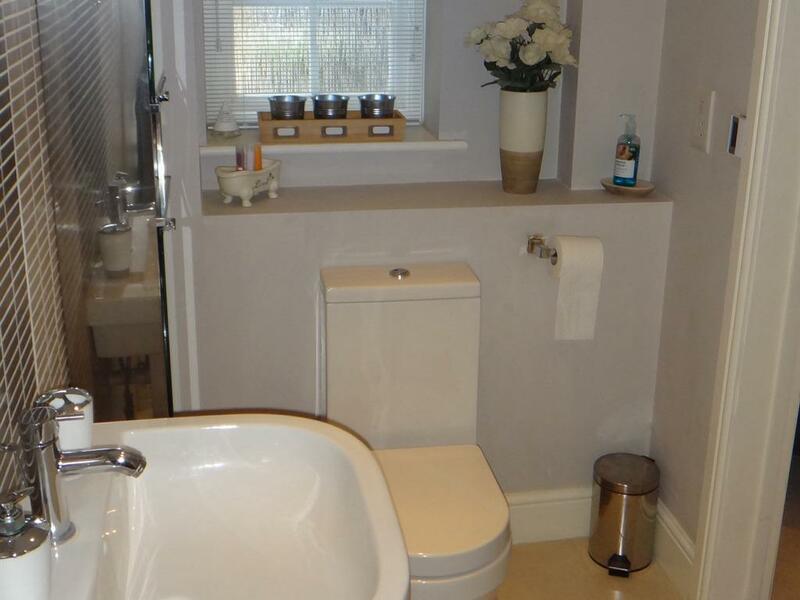 This particular room also benefits from it's own separate private bathroom facility with a combined bath/power shower that sits adjacent to the room. 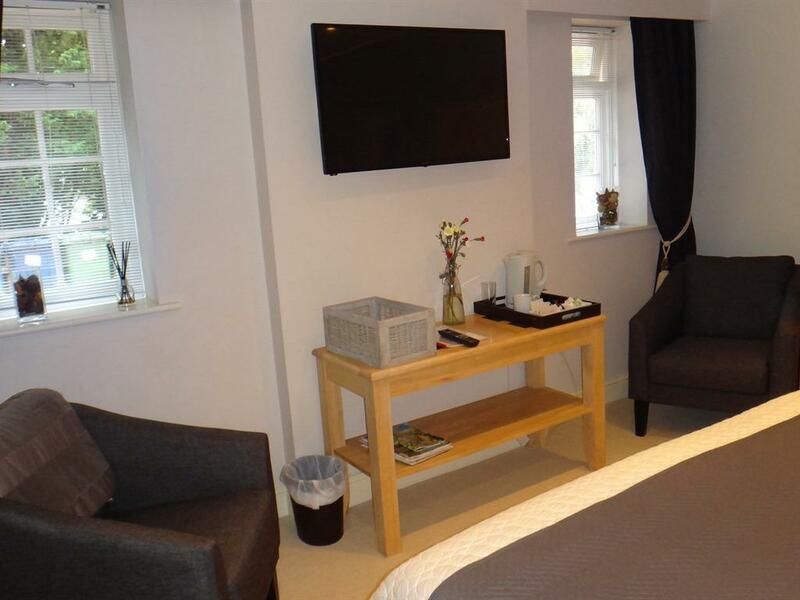 It has a large comfortable Super Kingsize bed and it's own flat screen TV' with Freeview and Radio capability as well as ample room for table and chairs to relax or work. 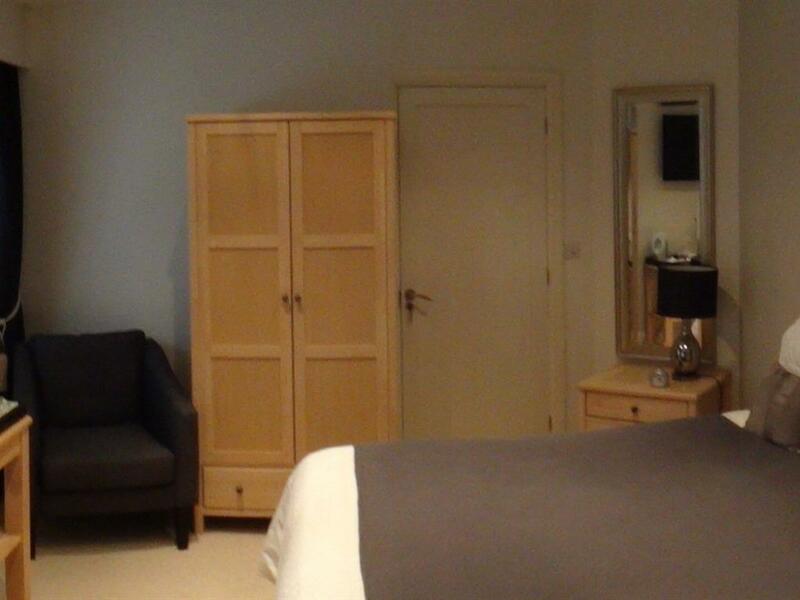 Tea and Coffee making facilities are available in the room. 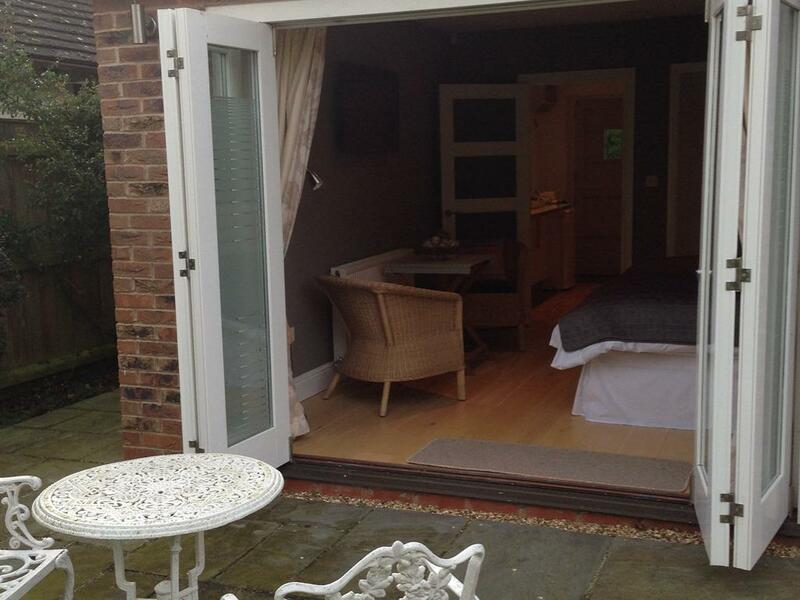 Room 4, affectionately termed "THE DOG HOUSE", is a self contained annexe with it's own separate stable door entrance and it's own parking spot.It has a kitchenette, with fridge, microwave, a fitted sink, ample shelving and a Breakfast Bar with high chairs.There is separate access to the fully tiled, luxurious private shower room with feature Mirror, Power Shower, heated towel radiator and underfloor heating. 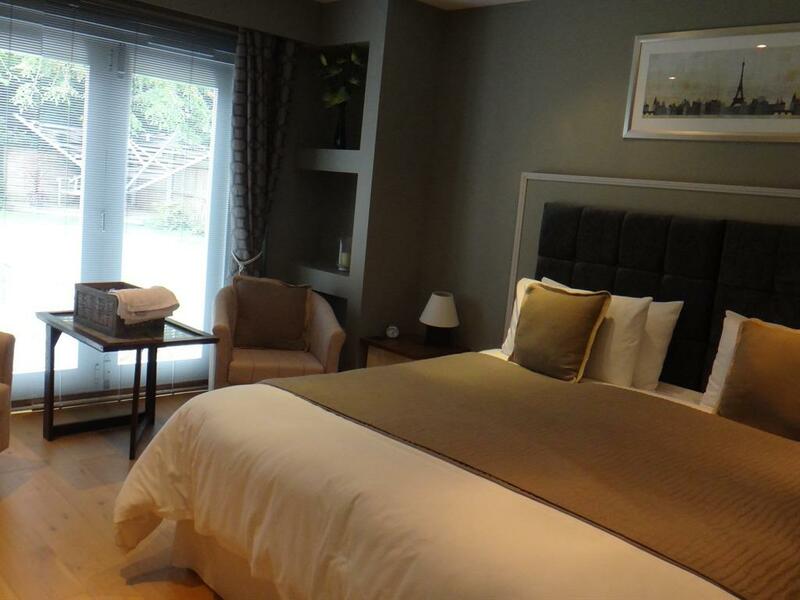 The main room is a large, contemporary, comfortable space with a luxurious Super King Size bed and an adjacent seating and table area. It has a large wide screen TV with Freeview and Radio capability as well as ample wardrobe space. 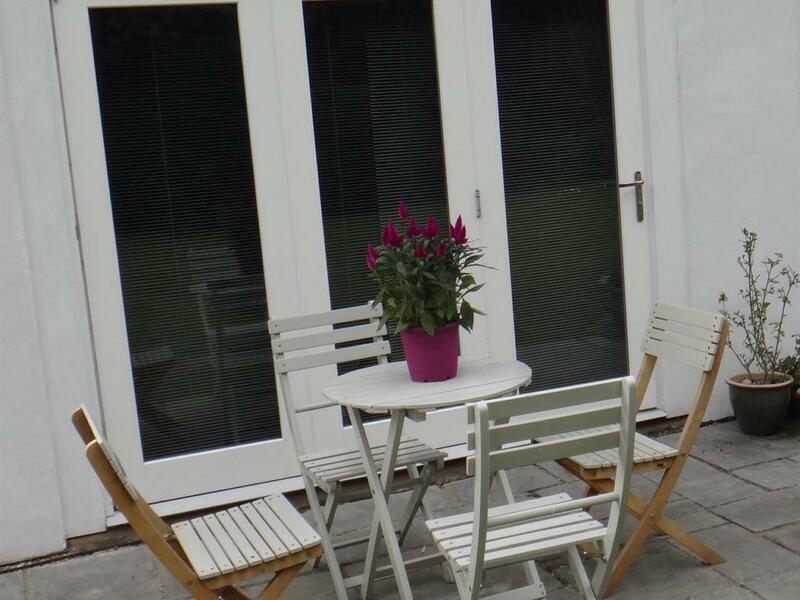 There are large bi-fold doors that open out onto your own private patio area with table and chairs sitting adjacent to the garden.